The stock market continued its march higher for a fourth week as investors focused on signs of improvement in the U.S. economy. The Dow Jones industrial average, S&P 500 and Nasdaq all ended higher Friday, with the Dow and S&P 500 finishing at record levels. For the week, the S&P 500 added 2%, the Dow rose 1.5% and the Nasdaq advanced 1.7%. Friday's gains came after a measure of consumer sentiment rose to its highest level in nearly six years. Separately, a report on leading economic indicators bounced back in April. U.S. stocks took a step back Thursday amid a raft of mixed economic reports and as some Federal Reserve officials called for an end to monetary stimulus this year. "The market is very sensitive to comments about the Fed pulling back," said Quincy Krosby, market strategist with Prudential Financial. But Friday's economic reports "helped assuage fears that the economy and consumer were going deeper into a soft patch." All three indexes have gained around 16% so far this year on a combination of gradually improving economic data and continued support from the Fed. But the economic outlook may not be as rosy as some would hope, said Bruce McCain, chief investment strategist at Key Private Bank. "The euphoric reaction in the market is justified to a degree," he said. "But it may overestimate the growth we may see here and overseas." Meanwhile, gold prices dropped 1.6% to settle firmly below $1,370 an ounce. The precious metal has taken a beating during the past few weeks as investors rotate out of safe-haven assets. Retailers on the ropes: J.C. Penney (JCP) shares slid after the ailing retailer reported another massive loss. The losses came during a quarter in which J.C. Penney announced the departure of CEO Ron Johnson, a former Apple (AAPL) retail executive hired in 2011 to revive the floundering chain. Mike Ullman, the former CEO who took back the reins from Johnson, pledged to reemphasize the company's private brands and improve the performance of its online store. 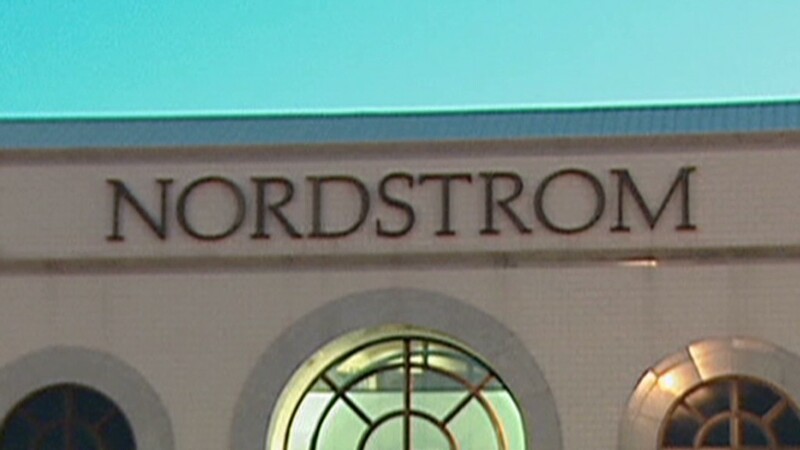 On the higher end of the retail spectrum, Nordstrom (JWN) shares sank after the company reported weaker-than-expected revenue growth and trimmed its sales outlook. 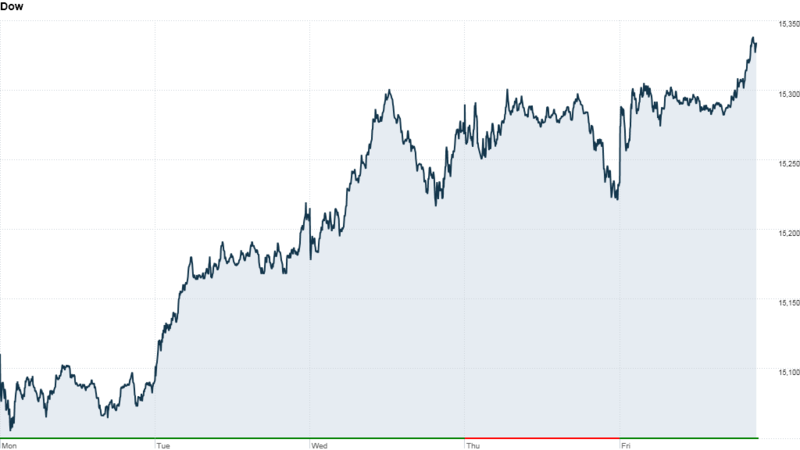 Facebook: One year later: A year after Facebook's (FB) disastrous stock market debut, the social network's stock is still 30% below its IPO price of $38 a share. The company went public on May 18, 2012, in one of the most highly anticipated IPOs ever. But its stock performance has been abysmal and some investors are relieved to have missed out on the deal. IPO pop: Shares of Tableau Software (DATA) surged 60% in their debut on the New York Stock Exchange. The company raised more than $254 million through an initial public offering that priced above its estimated range. Tableau, which specializes in data visualization, also raised the amount of shares it offered to 8.2 million from 7.2 million. Separately, shares of Marketo (MKTO) rallied 67% in their debut after the business-to-business software firm raised nearly $80 million through an IPO. Tesla's stock offering: Tesla (TSLA) raised $968 million in a secondary offering of common stock and convertible notes. The electric car maker's founder and chairman, Elon Musk, personally bought $100 million shares. Tesla's stock fell slightly but shares of another Musk-backed company, SolarCity (SCTY), surged for the second straight day. The was up more than 25%. European markets erased earlier losses, while Asian markets ended higher.